Speak with a live Air Tech specialist! Sign up now to receive your coupon! Valid on first time service only. We are a local, family-owned local business that has been delivering quality service and exceptional results to residents and businesses throughout LBI and surrounding New Jersey areas since 1999. If you need hot water heater service, give us a call and experience the Air Tech difference for yourself! The Air Technical Service Heating, Cooling and Plumbing experts are known for delivering reliable, honest service, providing both commercial and residential plumbing repairs, maintenance and installation. No plumbing project or repair job is too complex or small for our licensed plumbers and we’re proud to offer 24/7 emergency services. Running out of hot water? Or maybe you have all the hot water you need, but it’s just taking forever to heat up. At Air Tech, we have the experience and expertise with repairing all makes and models of conventional tank and tankless water heaters; we get the job done right the first time. Simply call one of our friendly technicians to schedule hot water heater service in Long Beach Island, NJ and surrounding areas. Did you know that the average lifespan of a hot water tank is about 10 years depending on usage and maintenance. That’s why manufacturers recommend annual system check-ups to ensure it’s performing as effectively and efficiently as possible. So do we. At Air Tech, we can perform the necessary scheduled maintenance on your hot water heater such as replacing the anode rod and flushing the tank. 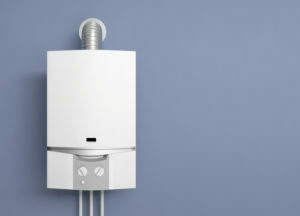 What condition is your hot water heater in? By prioritizing annual maintenance, you’ll add to the life of your water heater and prevent potential plumbing emergencies. Water heater installation is an important job that should only be left to trusted, reliable plumbers. Done right and this important appliance will last for many years without problems. Unsure if you should get a gas, electric, tankless or solar water heater? Our technicians will help you understand all the pros and cons so you can make an informed decision. Experiencing a leak? Brown, rusty water coming from your pipes? 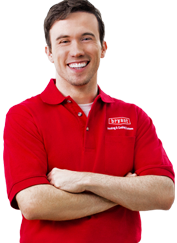 We have expert HVAC technicians ready to service your water heater at any hour, any day. With 24/7 emergency service, we’re ready to handle all aspects of emergency plumbing repairs. Why Choose Air Technical Services? The LBI water heater experts at Air Tech have been serving residents and businesses throughout the Ocean County area since 1999. As a locally-owned and operated heating, cooling and plumbing company, we take great pride in the quality of our products and services. Whether you need repair, maintenance or installation, we deliver the best plumbing services around. Call us now at (609) 698-3400 to schedule your appointment today! Speak with one of our seasoned experts! Fill out your information below and we will get in touch with you as soon as possible. You can also reach us by phone at 609-698-3400. Our convenient Ship Bottom office is centrally located on the Causeway allowing for quick response time to customers needs anywhere on the Island or mainland. Top Quality Work Done Right The First Time! © Copyright Air Tech NJ 2019. All rights reserved.